If women have non-communicable diseases (NCDs)—like cancer and diabetes—“at the time of pregnancy, [it] can hugely impact future generations,” said Adya Misra the associate editor of PLOS One at a recent event hosted by the Maternal Health Task Force (MHTF) to mark the launch of the fifth MHTF-PLOS collection, Non-Communicable Diseases and Maternal Health Around the Globe. “If we do not address NCDs in a maternal health continuum of care, we will, for so many issues, be short changing the progress we have seen [in maternal health] because NCDs are on the rise,” said Katja Iversen, president and CEO of Women Deliver. NCDs—cancer, diabetes, heart disease, respiratory disease, and mental illness—account for almost 65 percent of all female deaths worldwide, with three quarters of these deaths occurring in low and middle-income countries. NCDs no longer only affect the elderly and the wealthy; they cause almost 50 percent of all deaths under 70 years of age. Women of reproductive years—particularly those in low and middle-income countries already burdened with common infections, malnutrition, and maternal mortality—are now facing a quadruple burden of disease due to the rising rate of NCDs. Furthermore, children born to mothers with NCDs are also at a higher risk of experiencing negative health outcomes later in life. 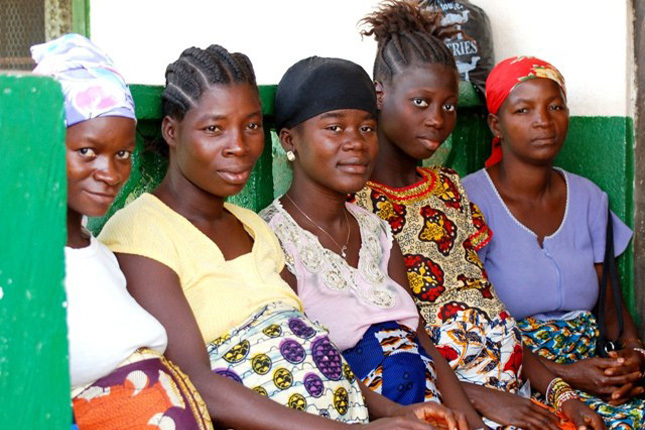 The burden on women to remain healthy, despite significant obstacles, is immense by itself. The burden on women to determine the health of the future generation is immeasurable—and to put it plainly, simply unfair. Women are expected to have a “healthy” and “happy” pregnancy, yet more and more women are being diagnosed with gestational diabetes, are beginning pregnancy overweight, and are suffering from mental illness throughout their pregnancies. “Health systems have the tools to empower women and educate them about the risk that they face and the risks they can pass on to the child,” said Misra, calling for more comprehensive prenatal care that takes advantage of pregnant women’s interaction with the health system and their motivations. “Motivation in mothers during pregnancy is higher than in other stages of life, so we need to take advantage of that motivation stage so we can change behaviors,” said Dr. Perichart-Perera. As many as 20 percent of pregnant women and new mothers experience mental health challenges, but these illnesses remain underreported and undertreated. Former President of Malawi Joyce Banda says that if you want to change a girls’ life, you have to reach them when they are young—before the age of 10. Disrespect and abuse of mothers during childbirth is widespread, but educating health providers can increase the likelihood that maternity care is respectful. Bad disease. In July of 2017. it was discovered that I got type 2 diabetes, By the end of the July month. I was given a prescription for the Metformin, I stated with the ADA diet and followed it completely for several weeks but was unable to get my blood sugar below 140, Without results to how for my hard work. I really panicked and called my doctor. His response?? Deal with it yourself, I started to feel that something wasn’t right and do my own research, Then I found Lisa’s great blog (google ” How I freed myself from diabetes ” ) .. I read it from cover to cover and I started with the diet and by the next week. my blood sugar was 100, Since then. I get a fasting reading between the mid 70s and 80s, My doctor was very surprised at the results that. the next week. he took me off the Metformin drug, I lost 16 pounds in my first month and lost more than 3+ inches off my waist and I’m able to work out twice a day while still having lots of energy. The truth is that we can get off the drugs and help myself by trying natural methods..